Independent travelers have two main ways of getting from Lima to Cusco. You can choose the quick and easy option of flying, or the more scenic, adventurous and time-consuming alternative offered by Peru’s long-distance bus companies. The quickest and easiest way to get from Lima to Cusco is by plane. The four largest domestic airlines in Peru, LAN, TACA, StarPerú, and Peruvian Airlines, all have regular flights from Lima to Cusco and vice versa. It is sometimes possible to turn up at Lima’s Jorge Chávez International Airport and jump on a flight straight to Cusco (especially in the morning when most Lima-Cusco flights depart), but booking in advance is always a good idea. You can reserve a ticket ahead of time through an airline’s website or office, through a travel agent (in person or online) or at the airport itself. Scheduled flights from Lima to Cusco begin as early as 5 a.m., so an early arrival in Cusco is a distinct possibility. There are fewer flights after 11 a.m., with the number of departures decreasing dramatically after 2 p.m. on a typical day. The flight time from Lima to Cusco is approximately 1 hour and 20 minutes. Ticket prices vary greatly depending on the airline, but expect to pay anywhere between US$90 and US$170 for a one-way ticket. Official taxis from Cusco Airport to the city center are overpriced, so you might want to consider an alternative option. For travelers with time on their hands, a direct bus from Lima to Cusco offers a more economical and adventurous experience. Traveling in Peru by bus can be time-consuming, but Peru’s top-end bus companies (such as Cruz del Sur and Ormeño) are comfortable enough to make even the longest journey bearable. Lima-Nazca-Abancay-Cusco: This is the quickest route (about 18 to 21 hours), but it can be a rough ride and you might be delayed due to landslides (especially in the rainy season) and other potential natural hazards. As for human hazards, the route did -- and to a certain extent still does -- have a reputation for bus hijackings and robberies. In general, however, there are few reasons to avoid this route unless you hear a recent and reliable report to the contrary. Lima-Nazca-Arequipa-Cusco: Rather than cutting inland from Nazca, this route takes you further south to Arequipa before swinging back up north to Cusco. It’s a long (24 to 27 hours), but the ride is smoother and you’re less likely to get stuck behind a mudslide. Prices vary depending on the bus company and the class of bus you choose, with average bus rates ranging from $65 to $100 USD. If you have time, the Lima to Cusco trip can easily be broken up into stages. 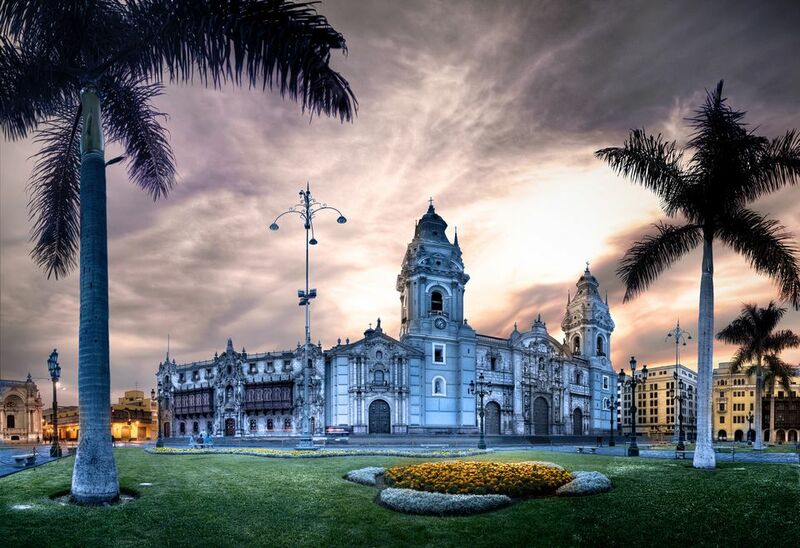 A week or more on the classic gringo trail from Lima will give you the opportunity to see some of Peru’s most famous attractions as you make your way to Cusco. From Lima, you can head south and stop off at Nazca. The town itself is nothing special, but a flight over the Nazca Lines is a great experience. Arrive early in Nazca and you can fly over the Lines before jumping on the next bus to Arequipa and Colca Canyon. From Arequipa, you can either head straight up to Cusco or take a six-hour bus ride to Puno and Lake Titicaca. Cusco is six hours northwest of Puno by bus, or you can hop on the train from Puno to Cusco, an expensive but scenic alternative. There are, of course, plenty of alternative stops along the route, such as Pisco, Paracas, and Ica, or you can slowly work your way through highland towns and villages along the Nazca-Abancay route. Whatever you decide, you’ll soon master the art of bus travel (you’ll be buying separate tickets for every leg of your journey), as well as other forms of overland public transport in Peru.